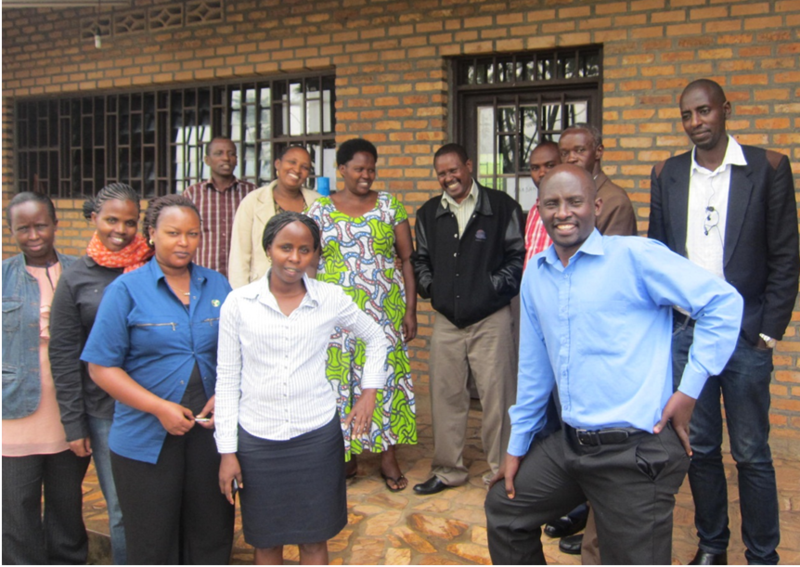 Rwanda | Freedom's Hope Ministry, Inc.
My name is John Rwakazayire. My parents left Rwanda in 1959 because of the tribal war that had started then. In Rwanda there are 3 tribes that speak the same language: the Hutus, Tutsi, and Twas which is the minority. Hutus were killing the Tutsi of which my parents were. To save their lives they fled to the neighboring countries: Congo (DRC), they also went to Burundi, Sudan and Uganda. We were born 10 in our family in different countries and I was born in Uganda and am the second to the last. My parents say, I was born between (1974 and 1976), I’m either 39 or 41 years. Five of my siblings have passed away, 3 died of HIV/AIDS. My oldest living brother is not married and he is also HIV/AIDS positive. He told us that he got infected through tools used in one of the hospitals because he used to do the mopping and cleaning there but the good thing is that he is a believer and he got saved before me. Please help pray for him because is now so much traumatized and his body has started weakening. And he has refused to take the RVs (medicines that help people infected with HIV/AIDS). The two sisters are married and one not yet. I was in an Orphanage in Uganda called African Foundation that helped street children, Orphans and destitute children. It was in 1995 when I received salvation and immediately I started preaching in high schools and I was there for 14 years. 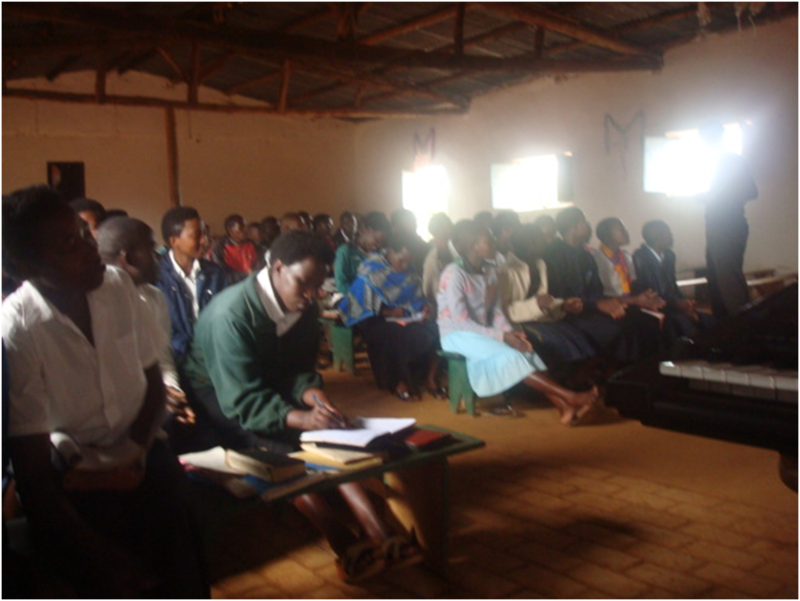 In 2001 I joined the Teen missions Uganda Bible School when I started preaching to young village churches. We used also to have youth camps of which I would be a leader every year, as well as volunteering with a Teen missions Orphanage Rescue Unit from 2003 to 2007. In Uganda I studied primary and I had remained with 2 years to complete high school but due to lack of school fees I wasn’t able. I did Bible theology for 2 years and 1 year of internship. After 1994 Rwanda genocide that massacred more than a million people in 100 days, my parents and many family members who had scattered around the neighboring countries returned to Rwanda their mother Land. I didn’t come because the Bible school was accommodating me but I would work at the Bible school as part of my school fees and after 3 years altogether I graduated with a diploma in Bible and missionary and a Certificate in Work. The Bible School was Teen Missions Uganda. After almost 4 years of confusion, the Holy Spirit gave me a choice of either to remain and serve in Uganda or come to Rwanda; I chose to come to Rwanda. I did so because I was born in a refugee camp and foreign in a foreign country. I didn’t know one of my sisters and the extended family members the first time I came to Rwanda. I was in the capital city in the bus with a small NT English Bible and this is the verse I read and it came live in my spirit. “I speak the truth in Christ-I am not lying, my conscience confirms it in the Holy Spirit-I have great sorrow and unceasing anguish in my heart. For I could wish that I myself were a cursed and cut off from Christ for the sake of my own brothers, those of my own race, the people of Israel”, (or in my case Rwanda) Romans 9:1-4a. It was not easy for me but I made the choice of coming to Rwanda and I can say, I had no one to help me do ministry because I didn’t know the vernacular, neither did I have money to get an interpreter. But gradually I have learned and I also do interpret it now! I left Uganda in 2007, I am not yet married but if all goes well I will be wedded at the end of this year. I have been preaching in high schools, once in while in some Universities but mostly in small or young Churches because they like preachers who volunteer to go and preach and they are receptive; I also do hospital ministries. There are many poor patients in our hospitals so we buy some sugar and park in half a Kg I don’t know how many pounds are in half a kilogram, some pieces of bar soap and some milk, this we give after we have shared the good news to them. I feel called to be a missionary both Local and International but also I was thinking the better way of mentoring fellow Rwandans. I am now praying for God to open doors for me to start a Church that would make Rwandans know Jesus, Love and Serve Him. 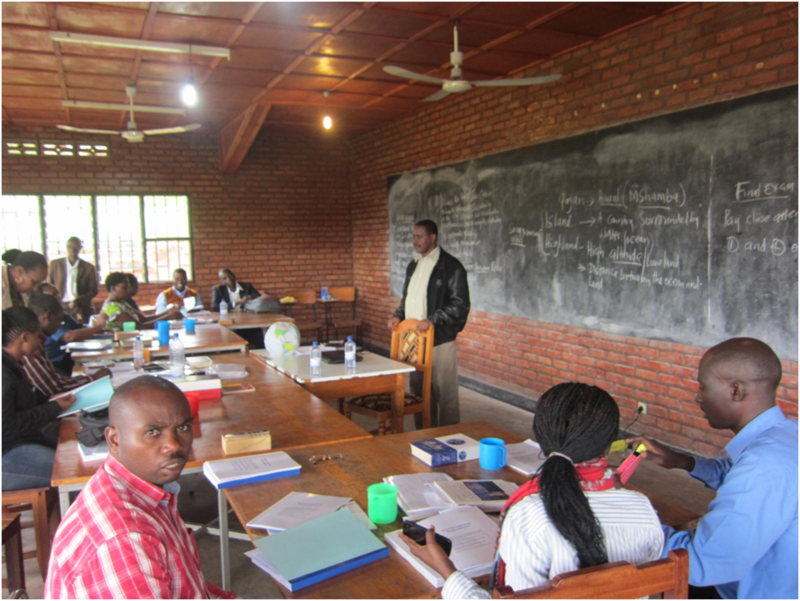 The years have been here in Rwanda, I discovered that discipleship is still low but the good thing is; Believers are hungry and thirsty to learn, but most Church leaders can’t adequately help because most of them have not been taught even the basic knowledge of the Bible, and you find they are pastors or Church leaders. I would want also to target the young people of which the Church in Rwanda has not been able to prepare them for ministry–the youths accounts for the highest population in Rwanda whether in the Church or outside. Youths in Rwanda 67-70% are under 25 years. And also we have many Orphans, widows, destitute children and people as a result of the 1994 Rwandan Genocide that claimed over a million lives in just 100 days. And trauma is also one of the problems that affecting the many Rwandan genocide survivors and other young ones that have been told the Genocide story. After preaching to over 100 youths age of 13-20. I am the one in the middle, front line, in a white shirt and a black trouser. These youths have a heart of learning the word of God. In the African culture reading and writing is not in our culture, and on top of that they are villagers, but most of them take notes when one is teaching them the word of God. In the past, Rwanda’s official language was French but now English is also: it’s the one being used in primary, high schools, and Universities. We request if their might be people willing to donate some English bibles or Texts it can help our youths to learn English but also can be a means of reaching out to them. I have been doing my BA in Bible and Theology and hopefully I will finish next year because it has not been easy for me to get the money, I missed one year. I am the first one in the blue Shirt from the right and here we were in the class. Please pray with me that the Lord Provides for me to finish and I also desire to complete the Masters program. The first one on the right in the black trouser and a blues shirt that is me John Rwakazayire. I was with some of my fellow BA students at the Campus.